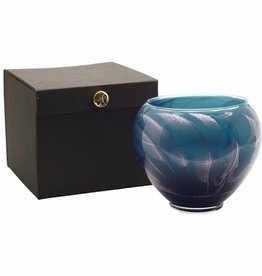 The 6” Esque Candle Vase brings elegance to your home: contains 16oz. of wax and has a single wick. It burns up to 70 hrs. They come packaged in a satin-covered gift box. Exquisitely fragranced with Mysteria. 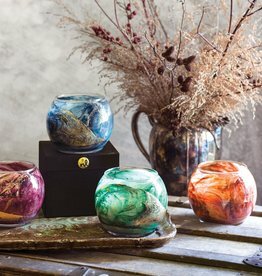 The 8” Esque Candle Bowl has a low profile, 22oz. of wax and has 4 wicks. It burns up to 80 hrs. They come packaged in a satin-covered gift box. Exquisitely fragranced with Mysteria.